Irish rock band The Script are suing singer James Arthur for copyright infringement over his song “Say You Won’t Let Go”. They say that the singer’s 2016 single “Say You Won’t Let Go” contains near identical beats and melodies to The Script’s 2008 hit, “The Man Who Can’t Be Moved”. The group say they hired the same lawyer who successfully represented Marvin Gaye against Robin Thicke over copyright in their popular (and controversial) song “Blurred Lines”. James hasn’t yet commented on the lawsuit, but he previously told The Sun last year about the alleged similarities in the songs, and said there was “no case” to argue over. “It’s 2017, there’s only seven notes in music,” he said at the time. The singer was signed to Simon Cowell’s label Syco after winning The X Factor in 2012, before he was dropped two years later after a series of inappropriate Twitter rants, particularly including lewd and homophobic comments. However, he re-signed to Syco in 2016, where he released “Say You Won’t Let Go”. The single was at number one in the UK for three weeks. He also argued that the singer has generated $20 million from the song, which he says rips off and copies “the essence” of “The Man Who Can’t Be Moved”. The lawsuit is seeking financial compensation for the streaming, distribution and touring revenue connected with the song. It also reportedly claims that James approached The Script’s frontman, Danny O’Donoghue in 2014 and asked whether he wanted to collaborate on a song, but was turned down. So, was the similarity in his song sour grapes towards The Script, or was it just pure coincidence? Listen to both the songs down below and make your own judgement. Then compare it to the song the it is allegedly based off of The Script’s ‘The Man Who Can’t Be Moved’. Since its release, the song was almost immediately compared to “The Man Who Can’t Be Moved”, with fans saying they share the same 4/4 meter, have a similar tempo, four-bar guitar introduction and have similar vocal melodies and harmonic structures. 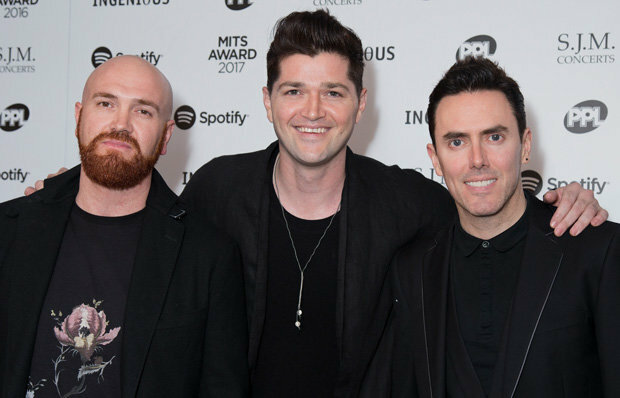 The Sun also reported at the time that both James and The Script are signed to the same management company (James Grant), which could “prove awkward if they do end up in court”, and it looks like that’s exactly where they’re going to end up. In court under the same management company. When you compared the two tracks, did you hear any significant similarities between them, or do you believe it’s just pure coincidence and that there’s only so many varieties of tunes out there? Please do let us know your thoughts in the comments below.